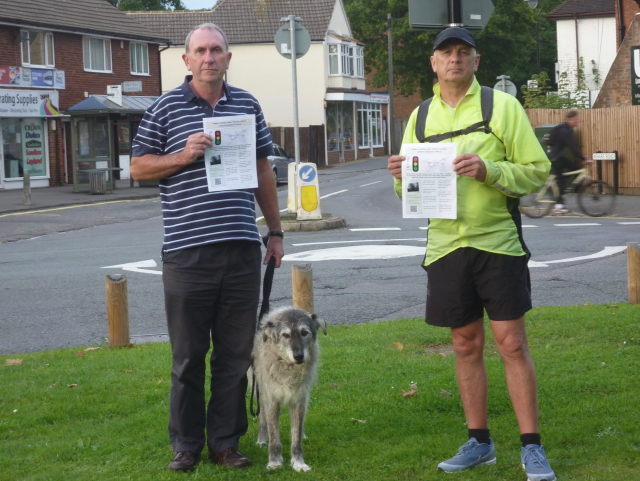 Determined residents have again pressed for their proposals to improve the road junction in Frimley Green to be properly evaluated. 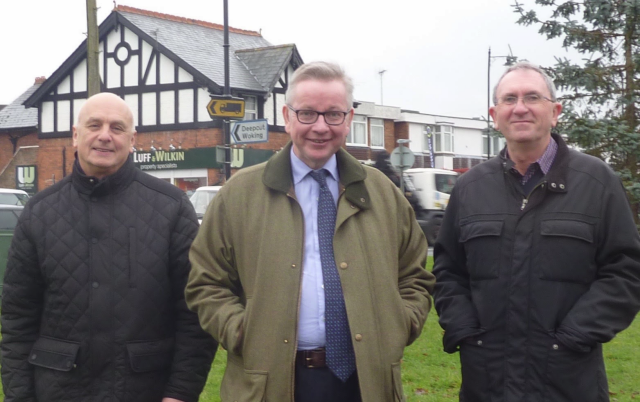 Now in the fourth year of campaigning against traffic lights being imposed on the village, local residents again urged councillors to get highways experts to work through the details with them as they had promised they would do in a meeting chaired by local MP, Michael Gove in January. “We want our plan properly assessed head-to-head with the council’s current	plan to put in traffic lights” says Graham O’Connell, one of the campaign leaders. “Let’s see the evidence of how both options would perform during peak and off-peak periods, let’s see how much Common Land from our village green both require and let’s see other evidence of impact on pedestrians and on the inevitable rat running too”. Fellow lead campaigner, Cliff Hilton, adds: “Pollution matters and we want environmental factors to be taken into account too, as does our local MP who is Minister for the Environment. The ’feeling’ of the village is also important, just ask anyone who lives here”. The plan to put in traffic lights is in response to the likely extra traffic that will be generated by the new housing development currently being built in nearby Deepcut. “But it is not the best solution” claims O’Connell, who would like to see improvement to the existing roundabouts instead. The claimed benefit from the council’s latest traffic light design is slightly shorter queues on Frimley Green Road at peak times. Residents, however, claim their proposed improvements work just as well if not better as well as being cheaper and less intrusive. The local borough elections will be on 2nd May. In 2015 Surrey Heath Borough Council gave planning permission for 1,200	new houses in Deepcut. 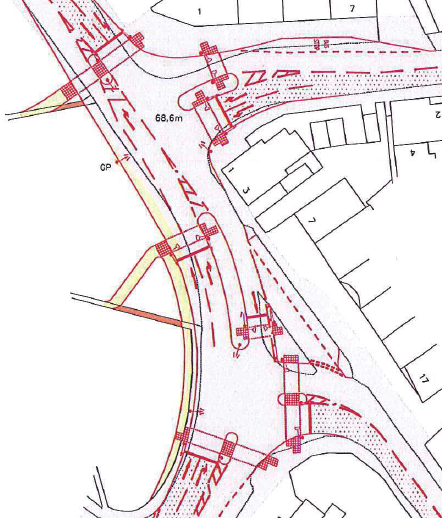 As mitigation against increased traffic a number of measures were approved including putting in traffic lights at the main junction	in the heart of the village, by the village green. Local residents were not consulted on these specific plans and councillors were not told about the impact on the village green which is both Common Land and designated Green Space. The developers were tasked with putting in 4-way traffic lights before the first 450 houses are sold. Residents set up an online petition which attracted 1,223 votes asking for the council to review their decision and retain the existing roundabouts. Surrey County Council are now considering scaling back their plans to 3-way	traffic lights but this would still involve deregistering some of the village green in order to widen the highway and putting traffic light stalk and signs into the grass. As this is Common Land, any changes to the village green will require an application to the Secretary of State for permission. At this point residents will be consulted and, if this is not just pushed through by officials, local councillors will be able to object. The Surrey County Council Board Member for Highways is Matt Furniss. BBC News on recent Highways England Report: Traffic Light Problems.